The Dexway method is based on student participation in recreated real-life situations, which are organized in a learning environment that combines multimedia content with live interaction with native speakers and other learners. The language skills of the student develop naturally through structured lessons that allow progressive and flexible learning at the pace of the students, who learn grammar rules, lexical and phonetic concepts through practice. 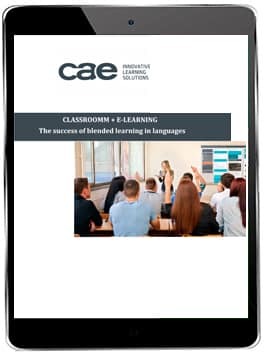 “Classroom + E-learning: The success of blended learning in languages”. Discover in this e-book why the Blended Learning method is the teaching model which obtains the best results.